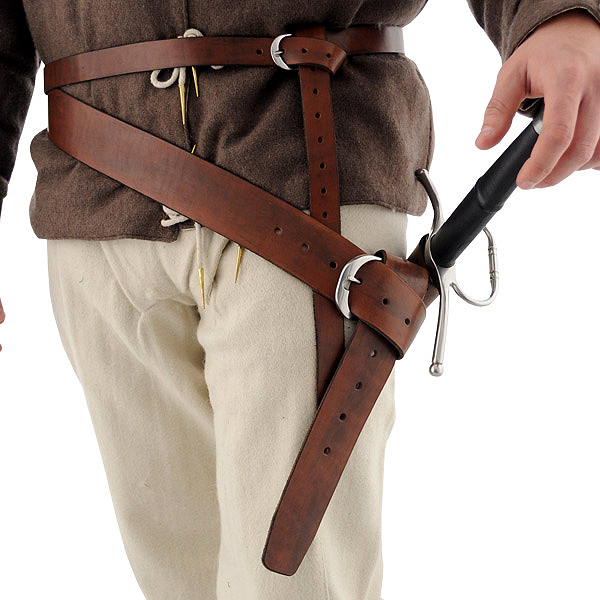 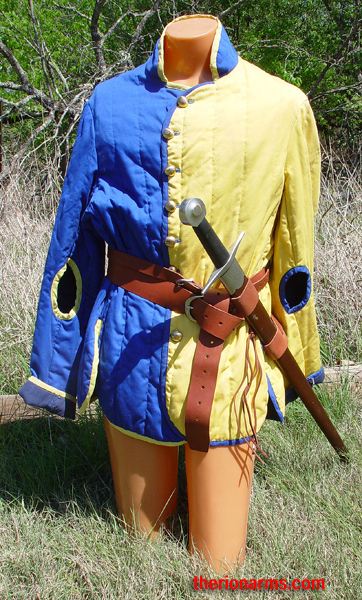 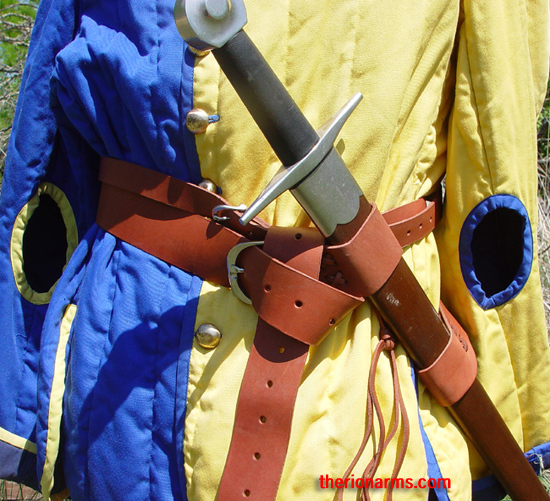 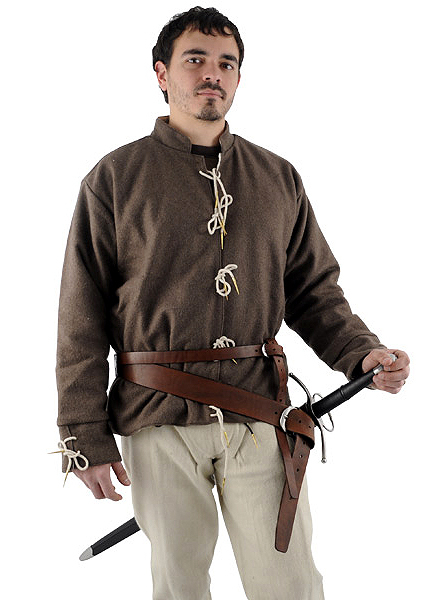 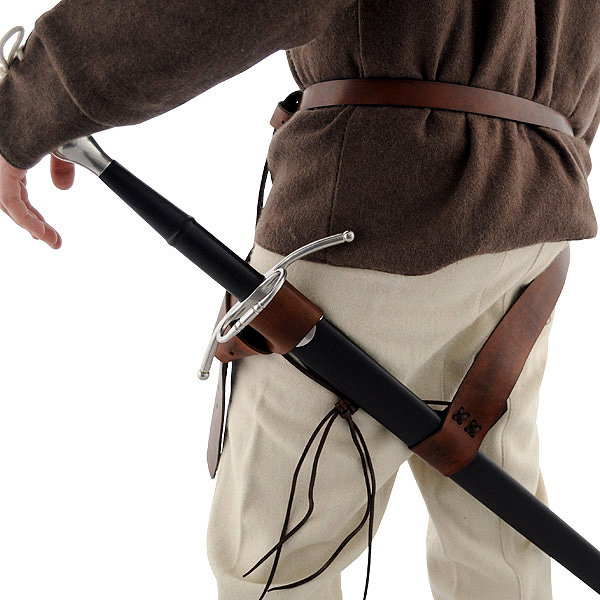 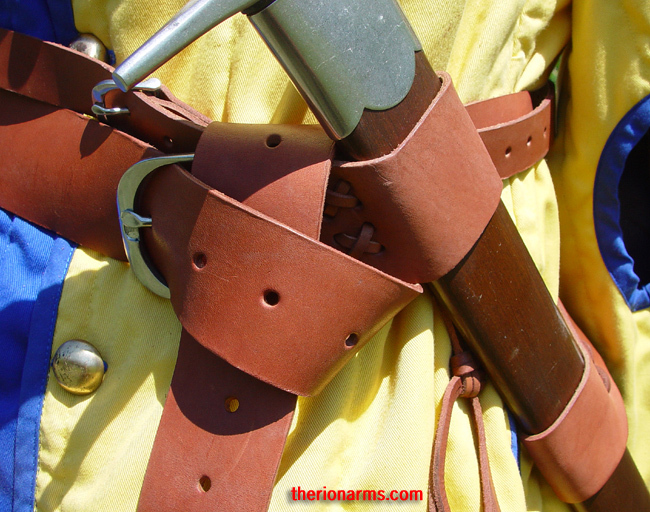 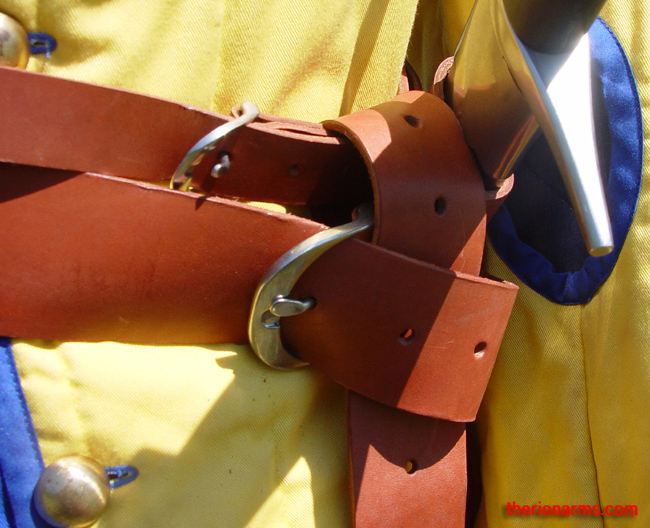 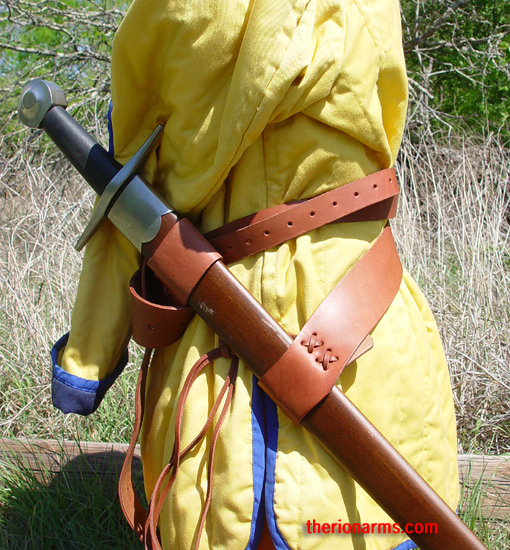 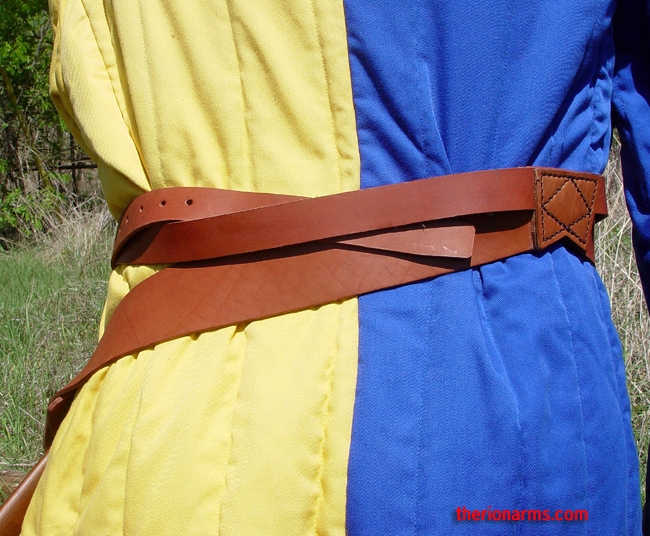 This heavy leather sword belt is styled after 13th century examples and can be used for both arming swords and longswords - the fully adjustable belt double loops and buckles to accommodate a wide variety of scabbards. 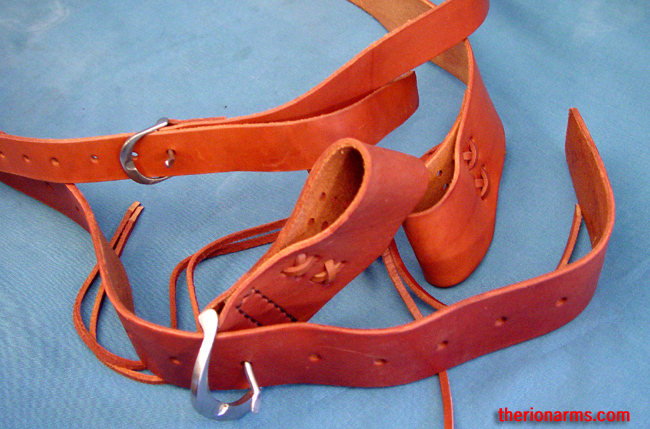 Both right-handed (pictured) and left-handed versions are available. 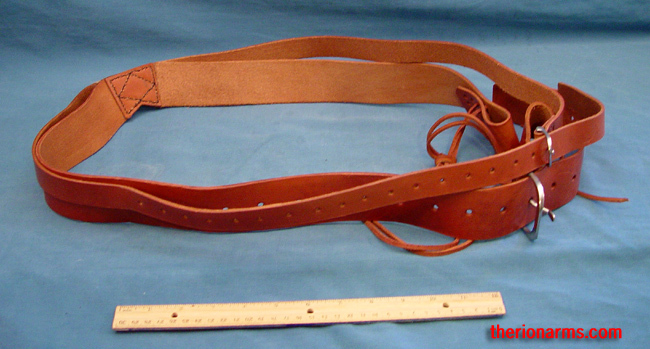 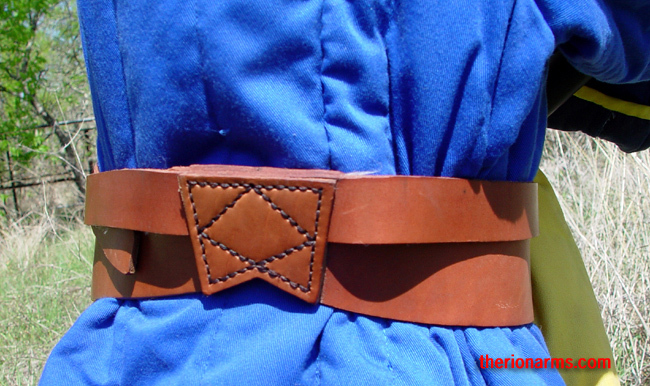 Crafted in heavy top-grain leather and adjustable to most waist sizes, these belts will provide many years of hard use.